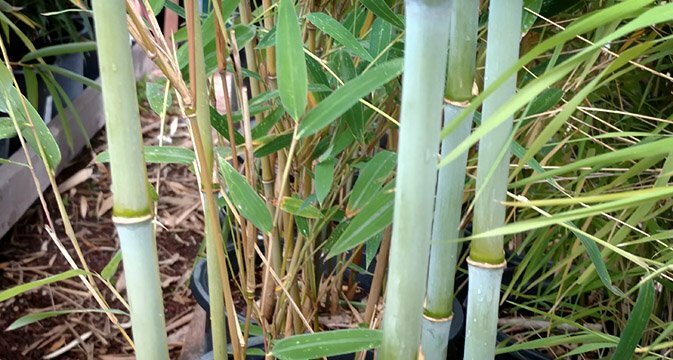 Fast growing clumping bamboo with new culms that are powdery baby-blue which slowly age to a mix of green and yellow. Upright shoots with medium leaves form nicley open clumps. Edible shoots. Afternoon shade inland. 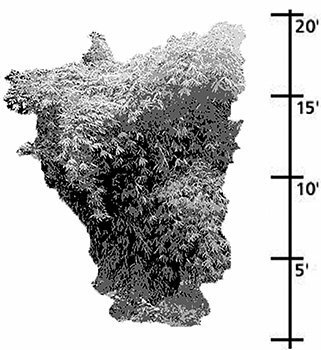 Size: Size: 16 to 20 feet tall, 1 1/2” culms.